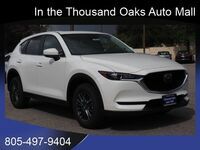 Drivers should take the time to compare the 2019 Mazda CX-5 vs the 2019 Ford Escape when shopping for their next SUV. 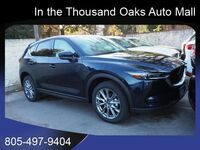 While both SUVs have many appealing qualities, the 2019 Mazda CX-5 surpasses the 2019 Ford Escape in terms of fuel efficiency and spaciousness. 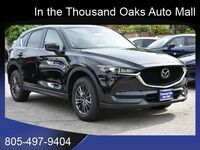 The 2019 Mazda CX-5 is available in five trim levels: Sport, Touring, Grand Touring, Grand Touring Reserve and Signature.  The 2019 Ford Escape is only offered in four trims, giving drivers less freedom in terms of feature availability. Seven exterior color options are available for the 2019 Mazda CX-5: Soul Red Crystal Metallic, Snowflake White Pearl Mica, Machine Gray Metallic, Sonic Silver Metallic, Eternal Blue Mica, Deep Crystal Blue Mica and Jet Black Mica. 134.5 cu.ft. EPA Interior Volume 132.7 cu.ft. 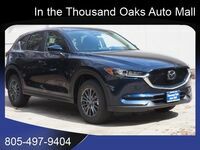 In combined city/highway travel conditions, the 2019 Mazda CX-5 receives 28 miles per gallon while the 2019 Ford Escape only receives 24 miles per gallon. The 2019 CX-5 can travel up to 370 miles in the city and 458.8 miles on the highway. 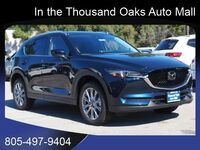 The 2019 Mazda CX-5 has an interior volume of 134.5 cubic feet, providing drivers with more space than the 2019 Escape’s interior volume of 132.7 cubic feet. 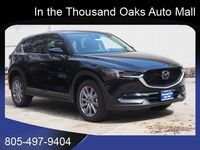 Featuring a maximum cargo capacity of 59.6 cubic feet, the 2019 Mazda CX-5 is a great SUV in terms of storage. Available 2019 Mazda CX-5 safety features include: side-impact door beams, an engine-immobilizing antitheft system, a tire pressure monitoring system, LATCH rear seat child safety seat anchors and upper tether anchors, child safety rear door locks, a blind-spot monitoring system with rear cross-traffic alert, hill launch assist, dynamic stability and traction control system, an anti-lock braking system with electronic brake force distribution and braking assistance.